We got arctic char today in our Friends and Farms basket. It is one of my favorite fish. 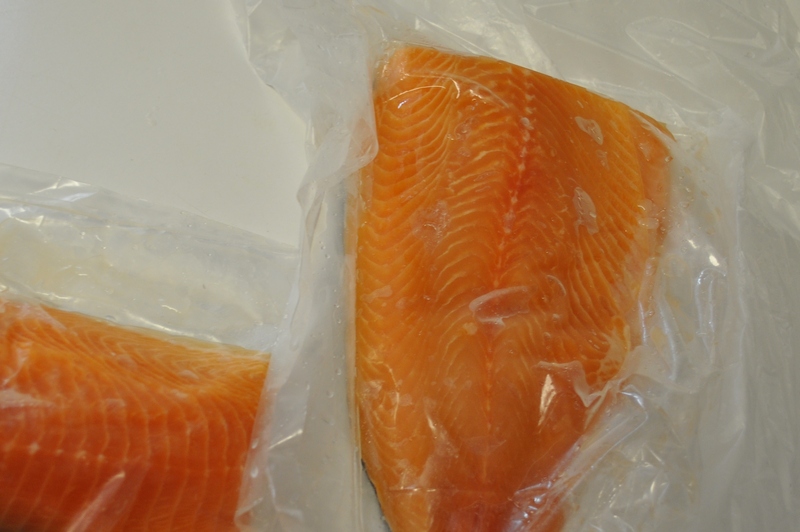 A cross in taste between salmon and trout. 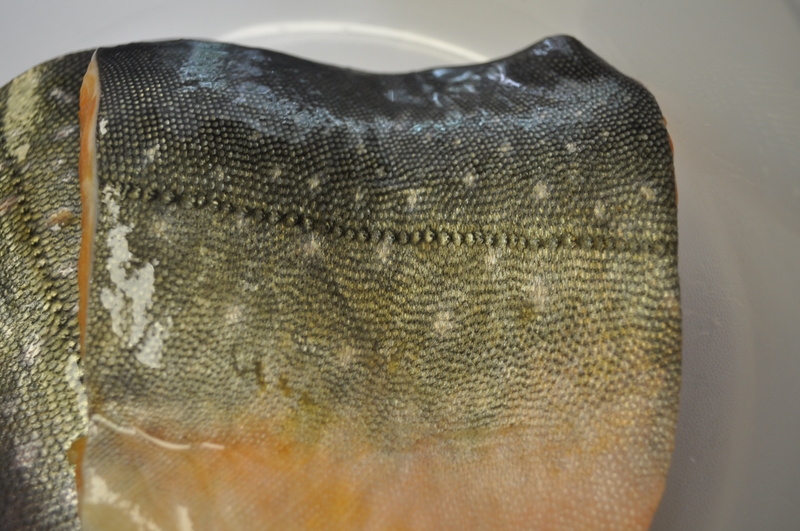 It even reminds me of trout with its spotted skin. I did a simple marinade, and a simple preparation today. 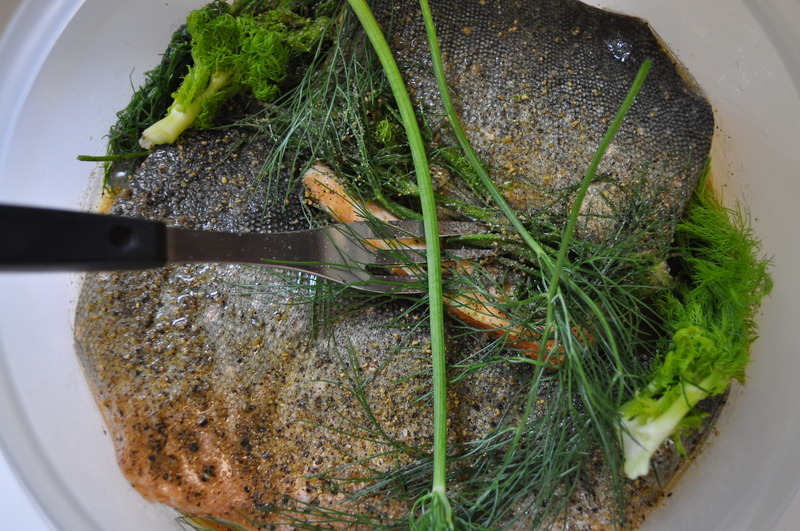 To celebrate the freshness of this fish. Citrusy in base. With that hint of licorice from the fennel fronds. I used a tablespoon of lemon olive oil. A teaspoon of Ponzu. A tablespoon of Triple Sec. Lemon jest and juice. Salt and pepper. 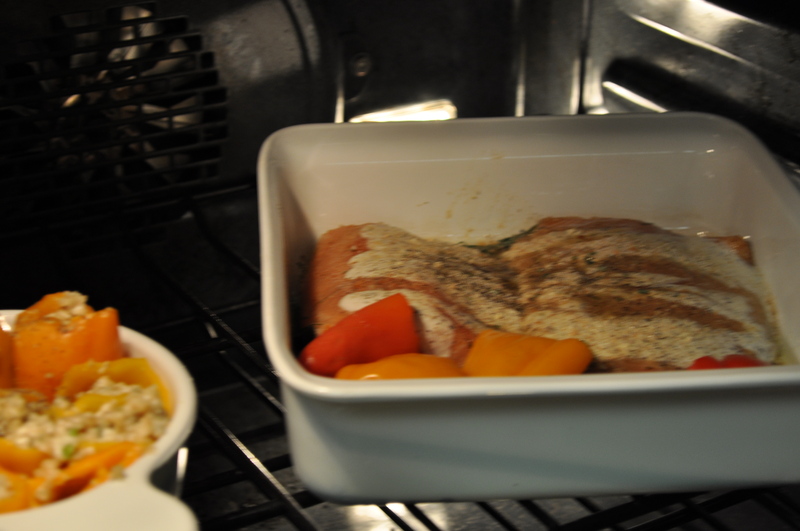 Before putting it in to bake, at 400 degrees, I added a drizzle of Asiago peppercorn dressing. Served with steamed green beans and goat cheese stuffed sweet peppers. And a dynamite Chardonnay. Easily a $100 a couple at a restaurant. A fraction of that in my dining room. Easy. Quick. Absolutely satisfying in flavor. The rest of the CSA tomorrow. But, this is a great start. Posted in CSA, Food, Friends and Farms, Local Businesses, Locavore, Real Food, Wine and tagged cooking, CSA, Food, foodie, local businesses, Locavore, real food, wine. Bookmark the permalink. Their fish is amazingly fresh. This looks delicious! 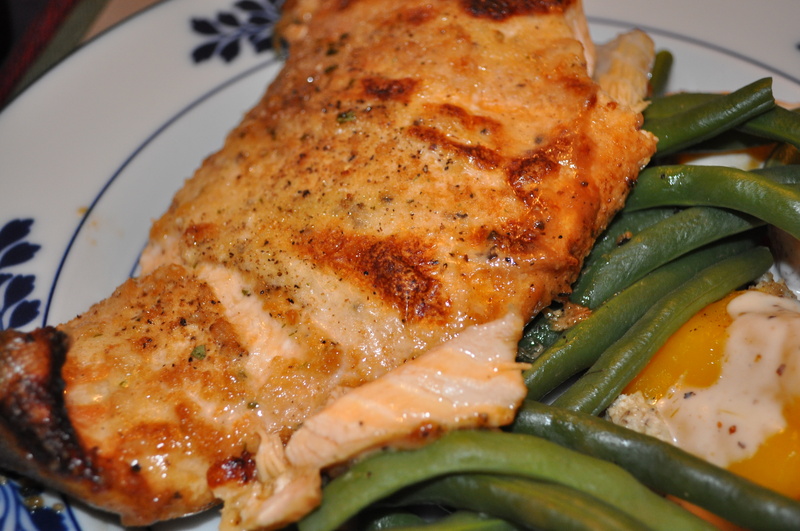 i love love love arctic char! !